Nintendo knows it's having a great E3, and it wants to show fans appreciation for their positive words of mouth. The Nintendo 3DS and Wii U eShops are holding a massive sale that will knock down select Mario, Zelda, LEGO, Sonic, and Yoshi games until June 16. In the Mario camp, we have Mario Party: Island Tour knocked down to $27.99 from $39.99. The original Super Mario Bros. is also available for $3.49 for both the Wii U and Nintendo 3DS. If this was PlayStation Network, I bet that would be a cross buy, but unfortunately, it's the eShop. Oh well, it's the most important video game in history , and you should own it on at least one device. 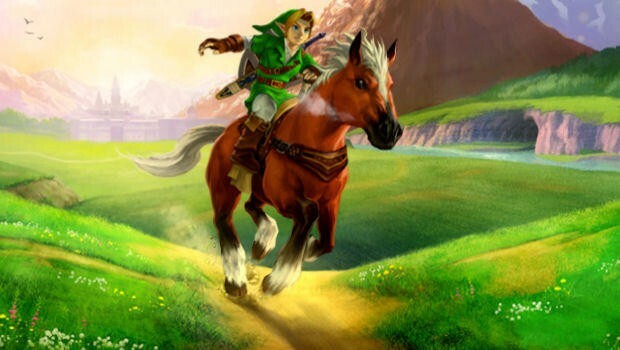 The Legend of Zelda sale is where you will find the most value as three of the greatest and most popular games of all time find their prices slashed. The Legend of Zelda: Ocarina of Time is now $27.99 on the Nintendo 3DS, and The Wind Waker is now $34.99. I just picked it up for free after getting Mario Kart 8 though, so no sale for me there. The final game is the original NES classic, which will also be $3.49 on both the Wii U and Nintendo 3DS. You can't go wrong with this essential game, so pick it up if you haven't yet. In celebration of Yoshi's Woolly World, Nintendo wants you to get acquainted with Mario's popular dinosaur friend once again. Both Super Mario World and Yoshi's Island: Super Mario Advance 3 are two of the most endearing platformers of all time and are on sale for $5.59. Just remember that the GBA version of Yoshi's Island isn't quite up to speed with the SNES version since it lacks the Super FX chip and the special effects that happen with some of the bosses. Yoshi on the NES is a block puzzle game and hardly worth your time at $3.49. Don't download this and maybe Nintendo will get the hint that it should re-release it ever again. Sonic and LEGO also have a huge library of more modern games available for sale, but it is the Nintendo classics which make the eShop worth checking out this week. Will you be picking anything up? I snagged Ocarina of Time with the free money I discovered from Nintendo's Deluxe Digital Promotion, but I have gaming a confession to make. I've never beaten it. I've played it plenty on the GameCube re-release and on friends' consoles back in the day, but I never owned a Nintendo 64 until after I bought my Xbox 360. Pretty sure I'll be beating it on the Nintendo 3Ds though since I spend a lot of down time on the train these days. I might also pick up Super Mario Bros. just because I am so hyped for Mario Maker.